This Jamboree is family friendly. We have 17 bands and 11 instructionals. There is room for dancing. We have a limited Open Mic and Band scramble is on Friday and Saturday night. Saturday night also has a catered dinner. There is a concession stand on the grounds. Our motto is "No one is invisible". For more information feel free to call the organizers, Ken and Val Merritt. Each ticket in the package includes a souvenir glass and the first drink. Tokens for food, beer, cider and wine will be sold on-site at $5 each. There will be tenting and the brewery indoors so these parties will occur rain or shine (no ticket refunds). This event is limited to 19 years and older with 2 pieces of identification. Please plan ahead for a safe ride home. May 25th - This is our second annual FREE family-friendly daytime outdoor recreation show - celebrating our outdoor biking, paddling and fishing lifestyle. 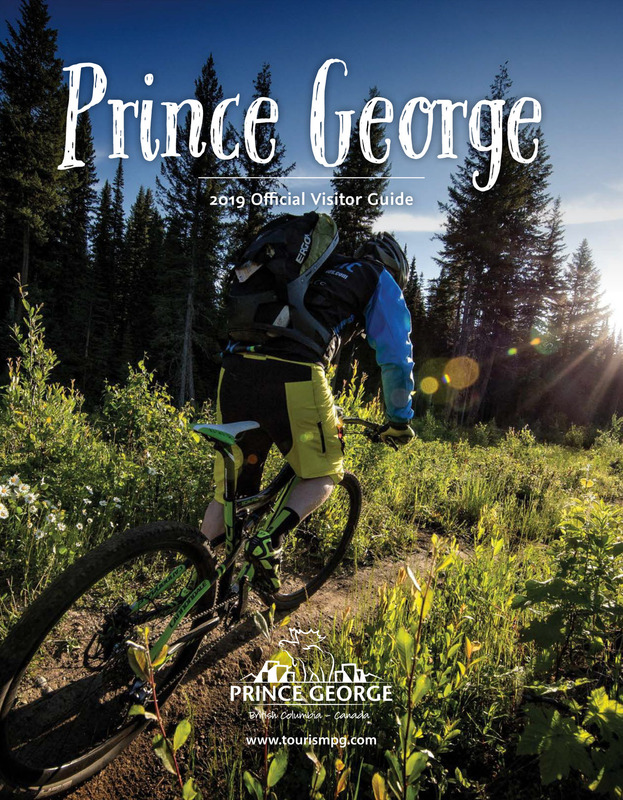 The May event is located downtown Prince George at 5th and George Street. Bring the whole family down to check out what’s new, and connect with local clubs and small businesses. Experience fun interactive activities to encourage kids and adults to discover and try different outdoor recreation opportunities! Goodsir Nature Park is celebrating their 30th anniversary! You are invited to join the festivities on the June 21st weekend. Free refreshments on Friday June 21st at 7:30pm, and as always admission is by donation. July 13th - This is our second annual FREE family-friendly daytime outdoor recreation show - celebrating our outdoor motorsports, motocross and jetboating lifestyle. The July event is located downtown Prince George at 5th and George Street. Bring the whole family down to check out what’s new, and connect with local clubs and small businesses. Experience fun interactive activities to encourage kids and adults to discover and try different outdoor recreation opportunities! Come experience fun, safe adult-oriented evenings with fantastic live music, local craft beer, street food and interactive outdoor party games. Event tickets are $34 (plus fees) and include a souvenir glass and the first drink. *Or buy all 3 Street Festival event tickets for $89 (Limited Availability)* The parties are limited to those 19 years and older with 2 pieces of identification. Tokens for food, beer, cider and wine will be sold on-site at $5 each. We’ll have tenting and the brewery indoors so these parties will occur rain or shine (no ticket refunds). Please plan ahead for a safe ride home. MVMF is a first year festival celebrating Electronic Music and Art. Let our 400-acre mountain farm and 70,000 watts of PK sound be your escape from reality. September 21st - This is our second annual FREE family-friendly daytime outdoor recreation show - celebrating our outdoor powersports, skiing and snowboarding lifestyle. The September event is located downtown Prince George at 5th and George Street. Bring the whole family down to check out what’s new, and connect with local clubs and small businesses. Experience fun interactive activities to encourage kids and adults to discover and try different outdoor recreation opportunities!